Geoffrey Richard Holman was born on 18 August 1937 in Canterbury to Thomas Richard Holman (1908-2000; known as Tom) and Margaret Holman nee Nicholson (1908-2003). Tom Holman was the last to own the family firm Holman Brothers Ltd, founded 1816, engineers and millwrights and later manufacturers and dealers in agricultural machinery. The firm closed down in 1975 on Tom’s retirement. Tom Holman was a keen photographer, and both he and Geoff were involved in the Canterbury Camera Club. Geoff went on to became a professional photographer, working freelance and for various organisations, and later a teacher of audio-visual media. Geoff was married three times. His second wife Jennifer was the mother of his two children, Sophie and Timothy. He met his third wife, Lynn at work and they were married from 2000 until his death. Geoff researched the history of Holman Brothers for a planned book. He was also interested generally in wind and water mills - a member of the Kent Mills Group until it folded in 2003, and later founder and chairman of the Kent Mills Society from 2010 until his death, when it also came to an end. 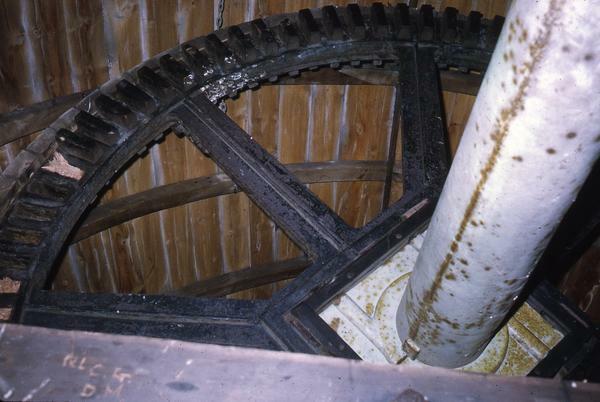 He was involved in the restoration of the Holman mill in Jerusalem, Montefiore Windmill.